Regardless of whether you’re traveling for the holidays, if you want to keep your kids healthy during flu season, we recommend that anyone over the age of six months of age receive a flu shot once a year. Because it typically takes two weeks for the flu vaccination to fully activate, you should contact your child’s pediatrician to schedule the earliest possible vaccination date. While airline pillows and blankets can help keep your child cozy on the plane, there are no government regulations in place to ensure that these blankets and pillows are changed after every use or flight. That’s why we recommend bringing your own pillows and blankets for the plane to prevent the transfer of germs. Because of the low levels of humidity on an airplane, your child’s mucous membranes can dry out, which makes them even more susceptible to germs. While it’s tempting to limit water intake to avoid multiple trips to the airplane bathroom, drinking enough water can help your child’s immune system protect them. 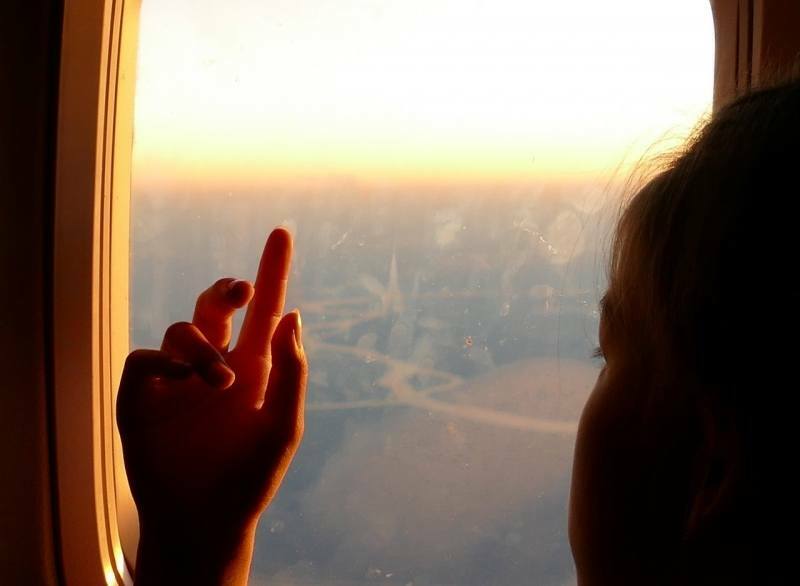 Because of the changing pressure on an airplane, children may experience ear discomfort during flight. Ask your pediatrician if a decongestant or antihistamine is safe for your child to take before boarding, as this can help open the nasal passages and Eustachian tubes for easy adjustment to changing air pressure. You can also give your toddler water to sip during takeoff and landing, as swallowing can help equalize the pressure. Especially if you have a toddler traveling on the plane, it’s in your best interest to immediately wipe down any surfaces within their reach with antibacterial wipes. This will prevent them from catching germs from previous passengers. While most commercial airplanes have sophisticated filters that introduce fresh air into the cabin, if you’re sitting two seats to the front, side, or behind an ill passenger, you have an increased chance of contracting their illness. If you notice an ill passenger near you and your children, ask a flight attendant if you can relocate. If you have questions about flying with kids or would like to schedule an appointment with one of our pediatricians, please contact us today at Woodburn Pediatric Clinic.